I'm not trying to make your neck snap. And, yes, this stitch is about as small as last Wednesday's post was large. I shared this stitch as a candidate for a border stitch over one row. And then I forgot about it. Seriously. 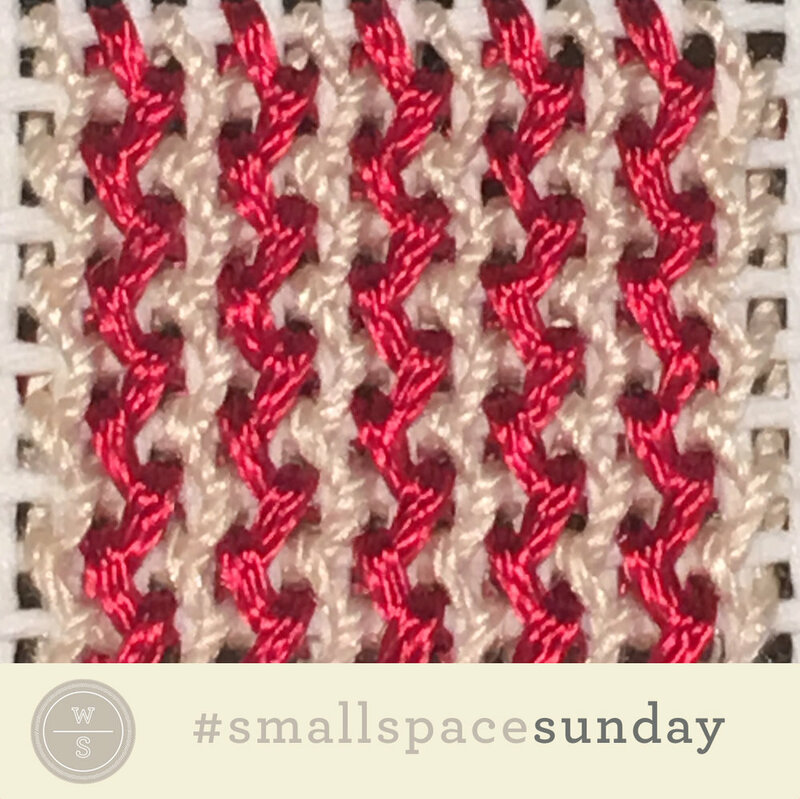 I stumbled back across the border stitch while looking for a small space stitch for the tiniest of houses that just so happened had vertical stripes in alternating colors. Voila.